Our first day in Hong Kong started with our visit in Ocean Park. I’ve been to some theme parks in and outside Philippines and I must say this one is so huge and with the number of people who also visits the park, a day isn’t enough to try all the rides and attractions. Prior to our trip I already purchased our one-day admission tickets online. 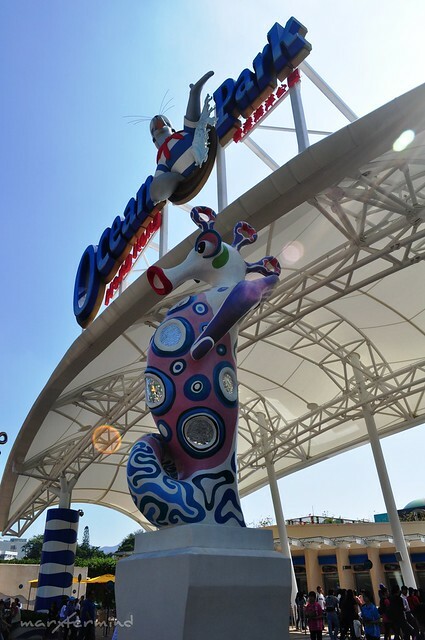 The Ocean Park’s General Admission is good for one day adventure. It includes most of the facilities, except skill games and coin-operated games. The ticket costs HKD 280. The park is open from 10:00 AM to 7:00 PM. 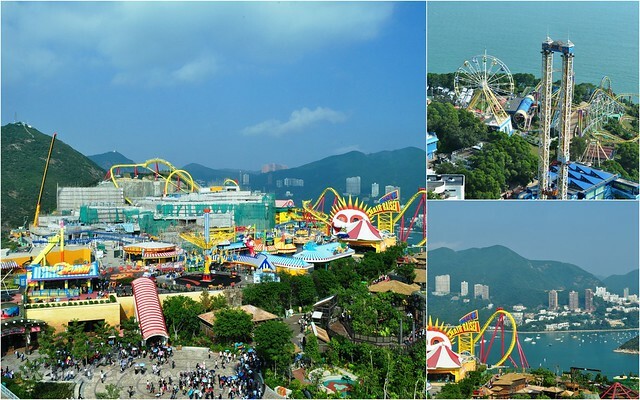 How to go to Ocean Park Hong Kong from Tsim Sha Tsui? We went out from our guesthouse at around 11:30 AM. We rode a train at Tsim Sha Tsui station going to Admiralty. Once there, we looked for the bus station located at Exit B and got on to Citybus Route 629. The Citybus Route 629 runs daily from Admiralty MTR Station or Central Pier No. 7. The bus fares are HKD 10.60 for adults and HKD 5.30 for children (aged 4-11). It took us about 30 minutes to reach the park. 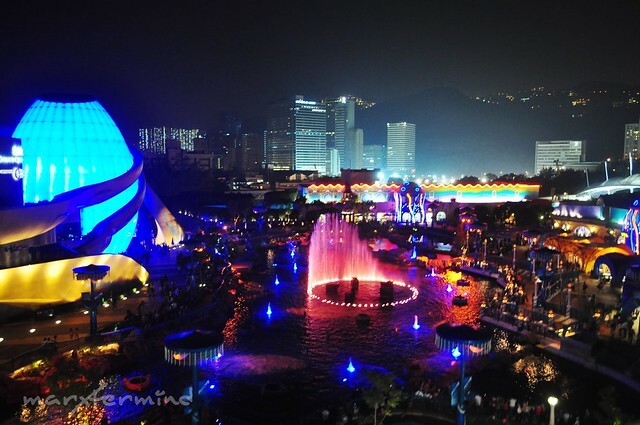 The theme park is subdivided into two parks, the Waterfront and The Summit. 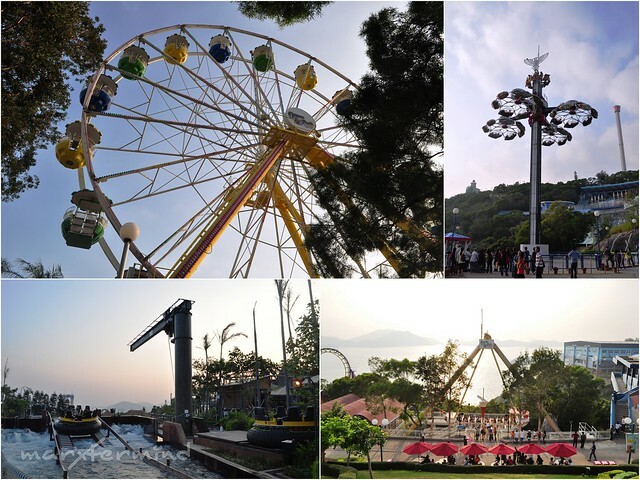 The Waterfront is where the kid’s ride and attractions are while the summit is where the thrilling and adventurous rides are. We moved on and entered the main entrance where the Waterfront park is. I would like to capture a lot of photos of the park’s attractions. I really enjoy taking photographs and capturing moments. When we entered the park, we were welcomed with the view of the Aqua City Lagoon. We took a map and checked what rides and attractions to try. 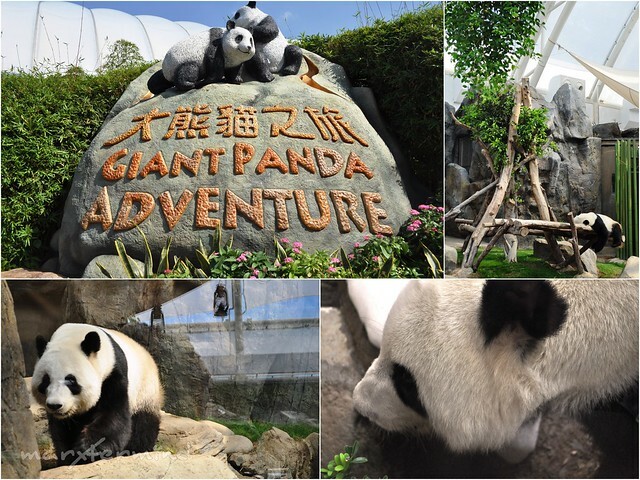 We went to the The Hong Kong Jockey Club Giant Panda Habitat first to check out the panda bears. It was my first time to see giant pandas. 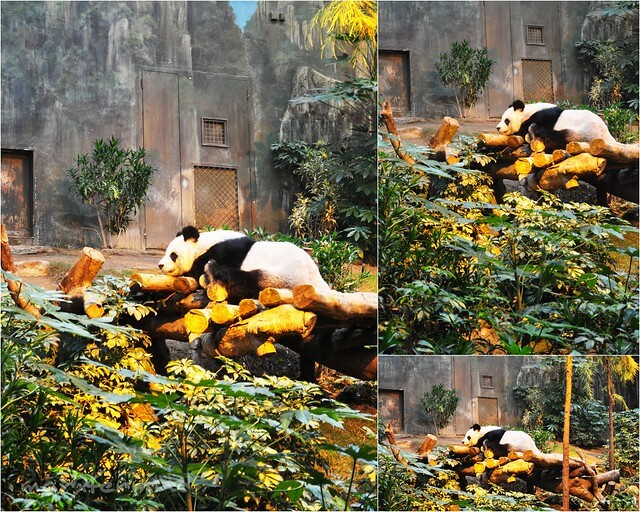 There were two precious giant pandas in the habitat: An An and Jia Jia. They are extra special as they were given to Hong Kong in 1997 to mark the return of Hong Kong to Chinese sovereignty. These giant pandas symbolize peace and goodwill wherever they go. Afterwards we went to the Panda Village to have another giant panda adventure. There’s also a red panda in the village (not in the picture). 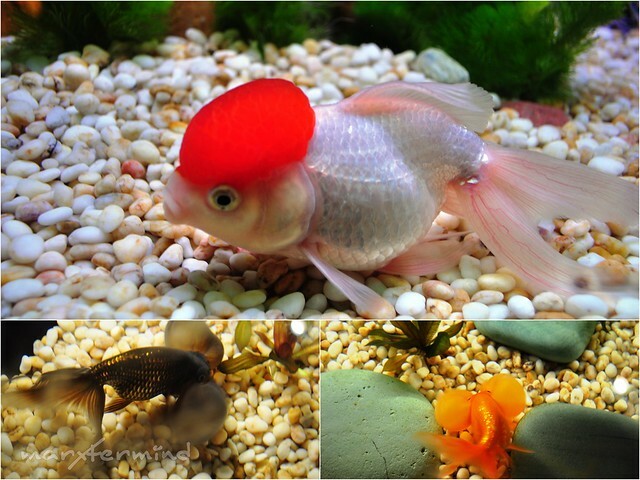 Then we went to Goldfish Treasures where we saw numbers of sparkling goldfish. After which, we strolled around but found nothing exciting to ride on so we went to the cable car station going to the Summit. The Cable car queue was too long that it took us about 30 minutes for us to get into the gondola ride. 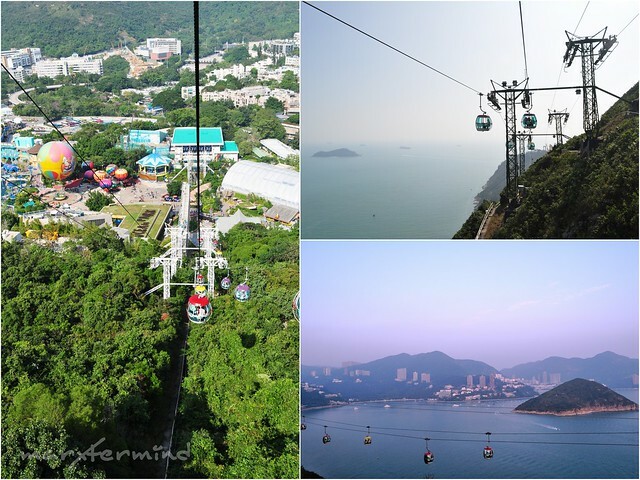 The Cable Cars are a great way to travel between the Waterfront and Summit. 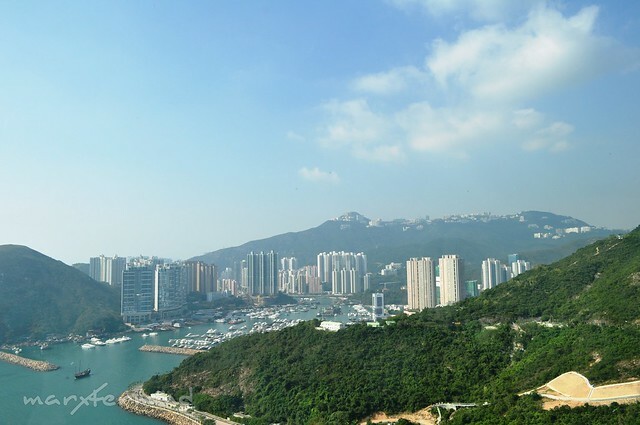 With Ocean Park attractions located on two different sides of a mountain and wide swaths of sea in between, riding the Cable Car provides unprecedented views of the surrounding area, the sea, and the entire park. 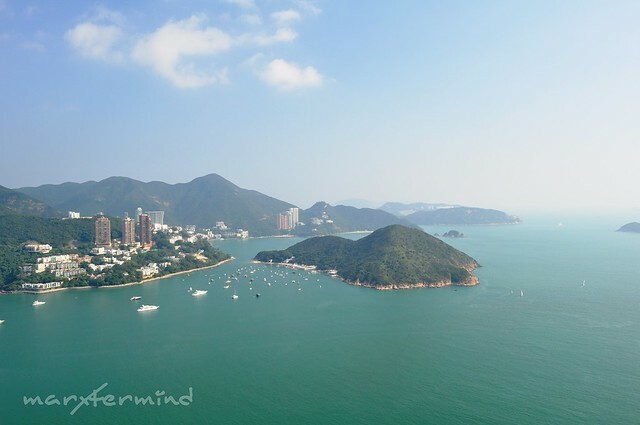 Who wouldn’t like to ride in a cable car with a view like this? I really love riding the cable car. The view and the experience was really fun. 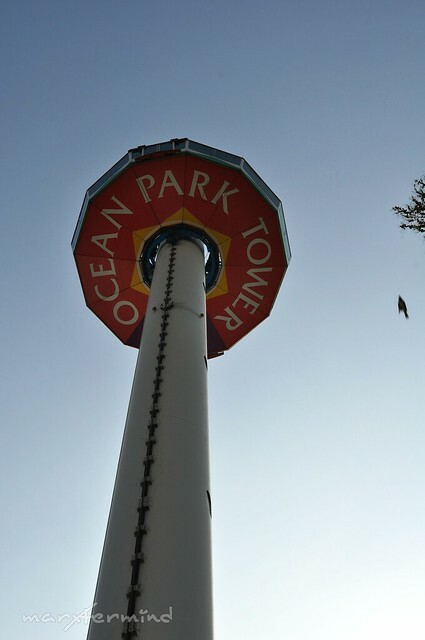 When we reached the Summit, we then lined up to the Ocean Park tower ride to have a panoramic view of the park. Then this view caught our eyes. It was an awesome view, indeed. 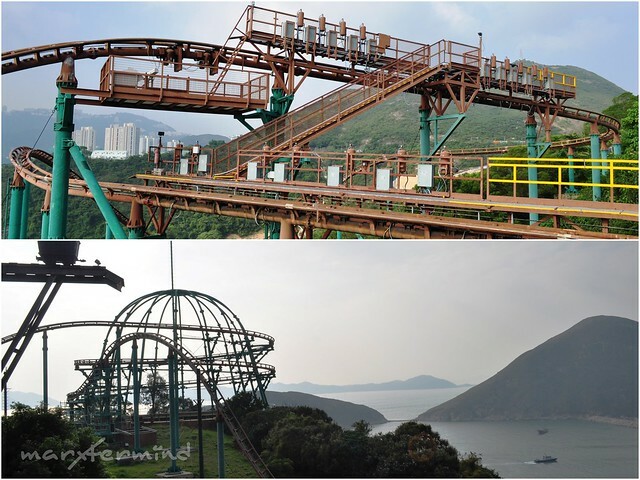 Looks like Ocean Park is building more rides to thrill and excite its park goers. It was already like 2:00 PM and we haven’t taken our lunch yet but we have still more attractions and rides on our list to try to. So we went towards the Adventure land and rode the Mine Train, Ocean Park’s craziest ride yet. We went back to the Marine World. The park is getting crowded so we just grabbed McDonald’s sandwich meal to have a quick lunch/snack. We can’t afford to spend more time eating as we still have rides and attractions to go to on our list. After our quick lunch/snack, we went to The Dragon to have another screaming roller coaster ride. Afterwards, we rode another exciting ride The Abyss Turbo Drop, Ocean Park’s ultimate thrill ride. After all, the Mine Train was still the exciting of them all. There are also rides we weren’t able to try to because of time constraints. But I must say these rides are all worth try. Afterwards, we check the Chinese Sturgeon Aquarium. Discover how nature has inspired Chinese culture at the Chinese Sturgeon Aquarium – Yangtze Exploration! In this historical and cultural adventure, visitors will learn how the biodiversity of the Yangtze River has helped enrich mankind’s development, and uncover secrets about Hong Kong’s precious fish too. See a living fossil, the endangered Chinese sturgeon, and other wonderful fish of the Yangtze and Hong Kong! We then decided to leave the Summit area as it was already getting dark. But a ride caught our attention that is worth trying, The Flash. The Flash is guaranteed to push your body to its limit! Max yourself out on screaming, laughing and watching the world go by – if you’re not too busy clinging for dear life! The Flash will prove your bravery to anyone! I was eager to try the ride while my companions are still in doubt. But after all the convincing we all tried it. The Flash took us a spin and whirl of our life! Rising over 22 m high and shining like a comet, the Flash whizzed us around so fast. 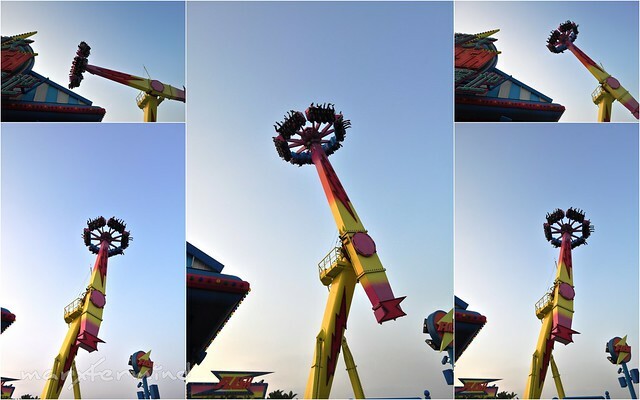 This diabolical ride turned us around 360 degrees, at the dizzying top speed of 60 km/h! It was indeed thrilling. I got dizzy afterwards. 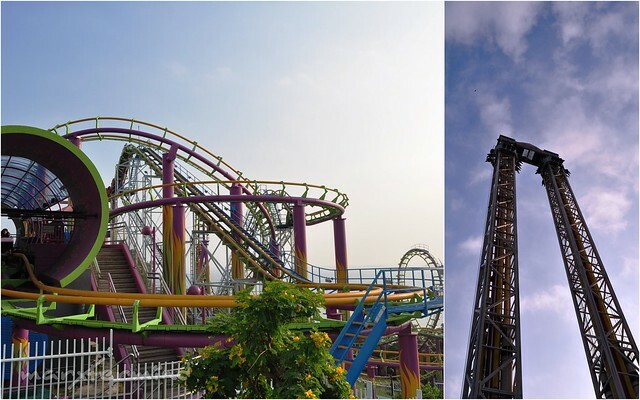 The Flash took the spot as the most thrilling ride in Ocean Park. The queue to Cable Car ride from The Summit to The Waterfront is so long so we then took the Ocean Express going down to The Waterfront. Before we left, we rode the Skystar to conclude our Ocean Park Experience. It was already getting dark and the park is about to close. Good thing we were still able to make it to the ride. We waited for about 30 minutes to have our chance to ride in the Skystar. 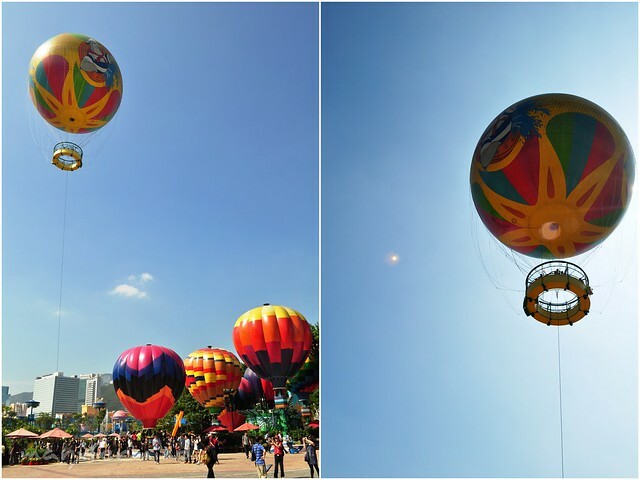 The ride is like a hot air balloon which will take you up and have a panoramic view of the park. Here’s the view. It was amusing. It was indeed an amusement park. We left the theme park at 7:00 PM. We rode the same bus going to Admiralty Station. Our plan is to go to The Peak afterwards but my camera battery got emptied. Instead, we looked for adapter and an outlet where I can charge my battery. We dined in at Cafe De Coral but the restaurant’s manager didn’t allow us to use their electric outlet. So after dining in, we have just decided to go back to our guesthouse and have our visit to The Peak on the coming days. Theme parks make me feel like I’m a kid again. Sadly, I wasn’t able to watch Ocean Theater’s show. But it was still an awesome and thrilling experience at the park. 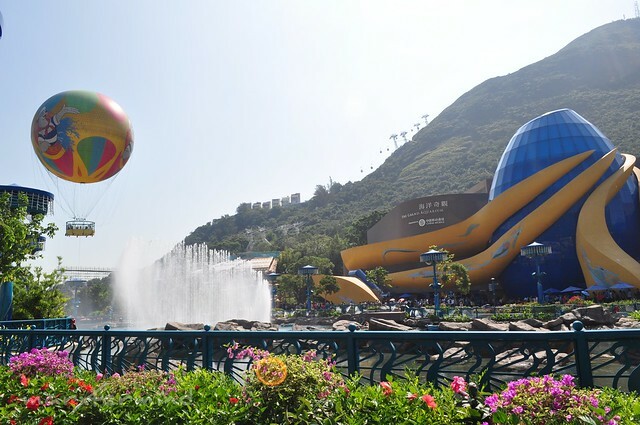 Go early as its opening time to fully enjoy the theme park’s ride and attraction. Try the Summit rides first then the Waterfront because people usually go to the Waterfront first then the Summit. Try the Cable Car in getting up to the Summit then Ocean Express getting down to the Waterfront. The queue to Cable Car from the Summit to the Waterfront gets very long 3 hours before the park closes. Bring bottled water and snacks with you. Ensure your camera battery is full. Oh, we can see some pandas in Ocean Park, so interesting. Does the cable car serve as transfer to the park or each cabin as a restaurant? Cuz I read one blog saying about Bay View Restaurant attached with a photo of cable car. Thanks so much for your your sharing and keep up with your good work! yung ibang rides yun pa rin, nakakatuwa.. pero may mga bago din.. buti good weather no? bongga!